Ever needing a dress that will have bae looking and feeling happy when you all on a date, well this is the dress. 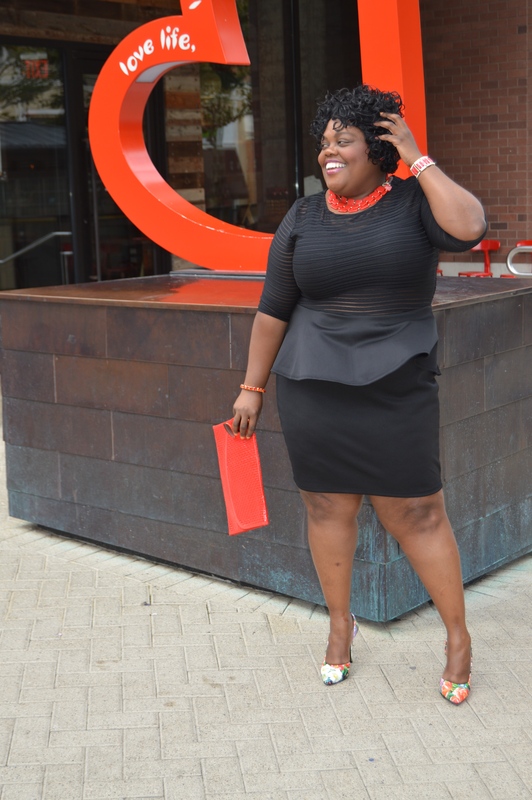 This little black dress (LBD) alone speaks loud, clear, and daring! 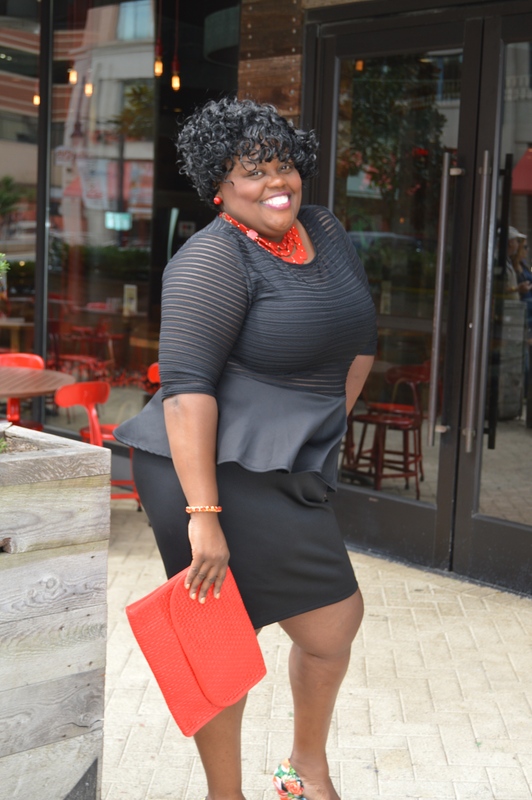 I am wearing this gorgeous, ebony, peplum dress from Fashion to Figure that is a perfect fit for a curvy woman. This dress is form fitting, accentuate the waist, and curves to the body for an attractive look. Many will stare for sure! I am 5’6 and the dress comes right above my knee.The top of the dress is a showstopper. The top of the dress is horizontal, sheer, but still keeping the secrets in with a nice black bra. 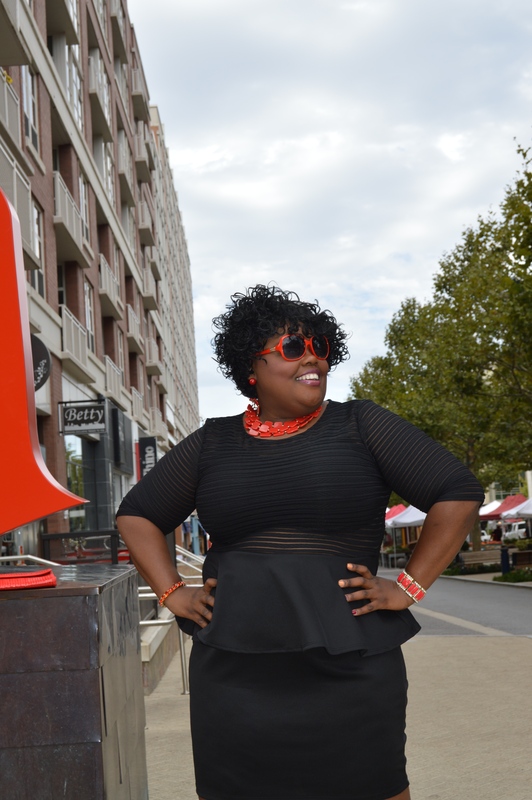 The bottom is design with the peplum giving the waist and hips a va va voom look! 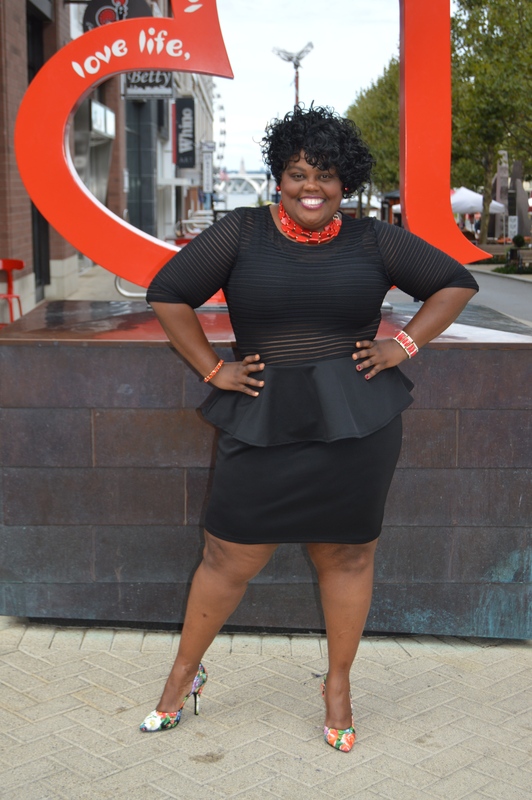 I wanted to showcase this dress right before the night fell because this dress is eye-popping and WILL have everyone looking because of its unique style and how a curvy woman can rock a dress with no shape wear. 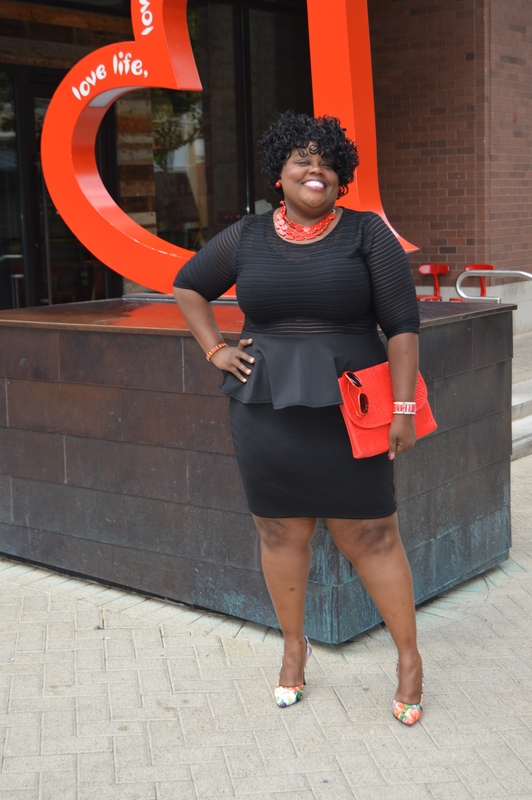 Yes, ladies no shape wears. This dress really didn’t need much dressing with accessories. 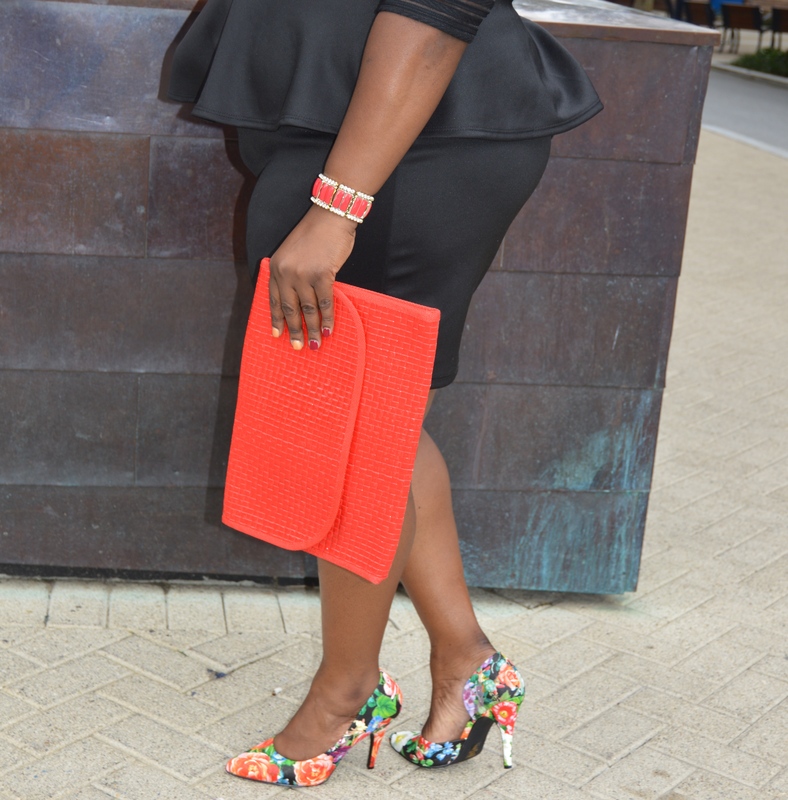 I kept it simple with a crimson, square necklace, flowery pumps, and a red clutch. Stay tuned for the next eye dropping wear…! Thank you J. Caldwell for the photos! Nice! May I ask what bra you’re wearing? Thank you so much! I brought the bra from a local store in Sliver Springs, MD called Dorne’…again thank you! Wow! May I ask what size you purchased?